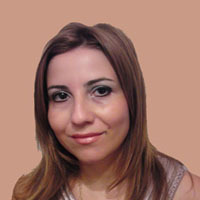 Tatiana Eleni Synodinou is an Associate Professor of Private and Commercial law at the Law Department of the University of Cyprus. She obtained her law degree from Aristotle University of Thessaloniki. She completed her postgraduate studies at the University Aix-Marseille III and her doctoral and postdoctoral studies at Aristotle University of Thessaloniki receiving fellowships from the Greek Scholarship Foundation and by the Committee of Research of Aristotle University of Thessaloniki. She is the author of numerous books, journal articles and chapters in edited books on copyright law, Internet law, media law, private law and commercial law. She has participated as a speaker to numerous conference and seminars and organized various national and international conferences and study days. She is case law reporter for “Kluwer Law International” to the legal database «Kluwer EU IP Cases» and a contributor to Kluwer Copyright Blog. She has also been an expert for many projects and EU studies. She is the Chief Editor of the student law journal “Nomomacheia”. She is founding member and President of the Union of Copyright Law of Cyprus (EDPI) that is the Cypriot affiliate of International Literary and Artistic Association (ALAI). I like to help startups by providing some initial guidance in legal issues, mainly in IP, Internet and Media law.